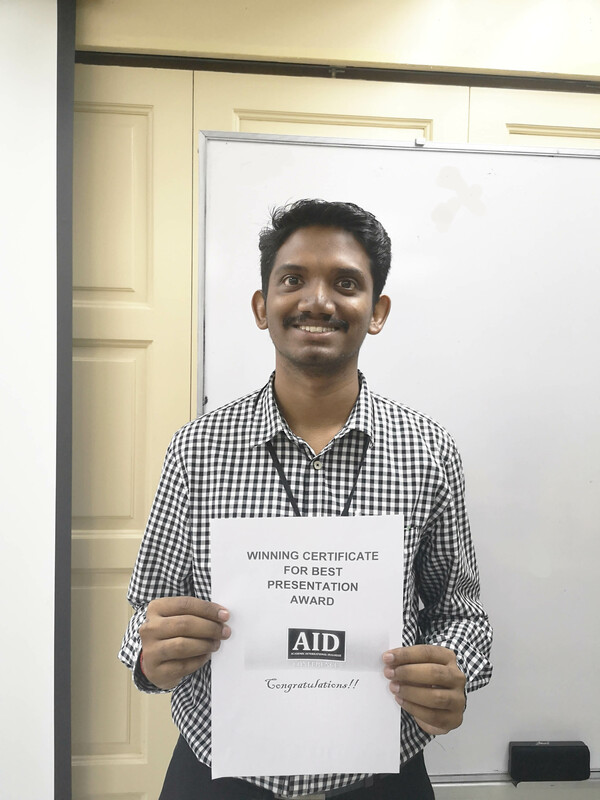 Adding a feather in his cap, UTAR Faculty of Arts and Social Science (FAS) academic S Maartandan a/l Suppiah appeared as one of the winners of the “Best Presentation Award” at the International Conference on Social Sciences and Humanities (ICOSAH II) on 31 October 2018 at Open University Malaysia, Negeri Sembilan. Organised by the AID Conference, the annual conference aimed to provide a platform of discussions among academicians, professionals, practitioners and policy makers in the related field, establish networking among academicians and practitioners and narrow the gap between knowledge in the academic and in the industry. The award-winning paper titled “Measuring the Relationship between Culture Intelligence (CQ) and Employability: A Survey among Undergraduates in Malaysia” was co-authored with FAS academics Dr Noew Hooi San and Pong Kok Shiong, as well as Beijing Normal University-Hong Kong Baptist University United International College academic Dr Lim Chai Lee. S Maartandan, also the Head of the Department of Public Relations of FAS explained that CQ refers to the ability to adapt to different environment, enabling one to embrace diversity through sensitivity, adaptability and learning. In Malaysia, the government always aspires to cultivate better CQ among undergraduates but researches showed the desired objectives are yet to be achieved. “The role of CQ has been found significant in the organisational context as it ensures members to harness diversity, creating an inclusive working environment. High CQ equips individuals with the necessary tools to deal with multicultural situations and increases their employability,” said S Maartandan. The research aimed at measuring the level of CQ among undergraduates and the relationship between CQ and employability among undergraduates in Malaysia. “We found that more than half of the respondents are having intermediate level of CQ. Results also indicate that all CQ dimensions such as metacognitive, cognitive, motivational and behavioural significantly contribute to employability, with motivational to be the most significant dimension,” expounded S Maartandan. When asked of the significance of the study, he said that it contributes to a better understanding of the role of CQ in an organisational context and highlights the needs to cultivate CQ among undergraduates in Malaysia to prepare them for the increasingly diversified working environment.